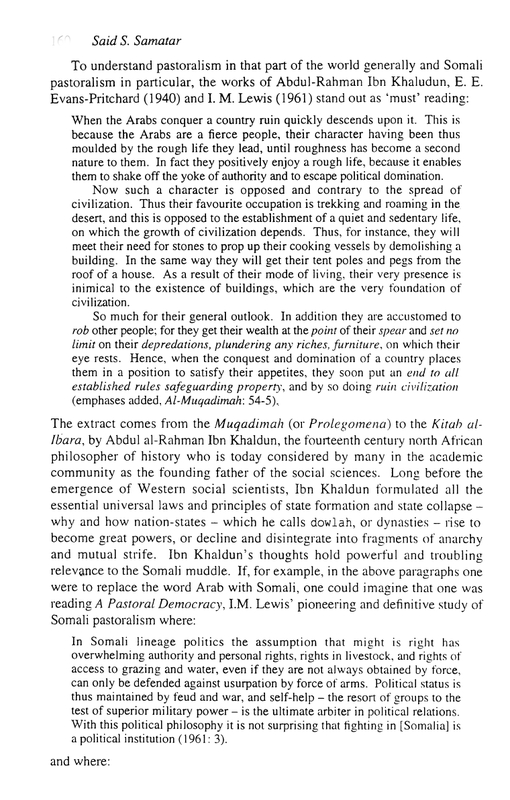 Professor Said Sheikh Samatar (1943-2013) was a renowned Somali scholar who taught African history at Rutgers University for more than three decades. 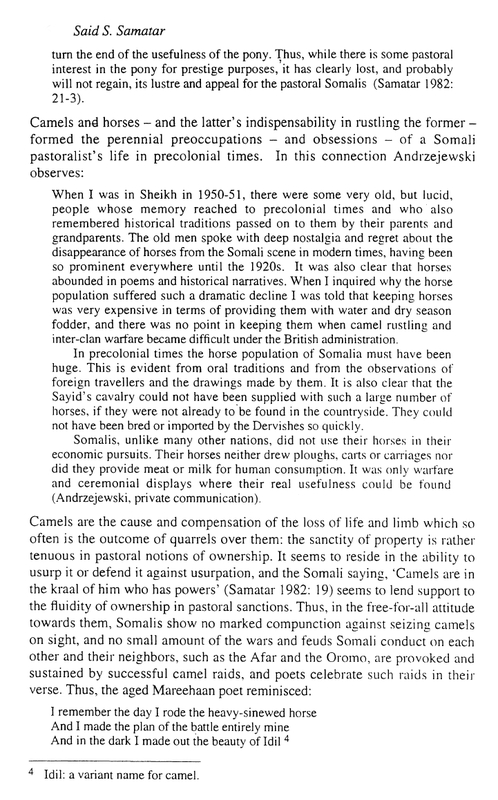 Though he became a legendary African academic, Samatar was one of fourteen children whose parents led a nomadic existence. 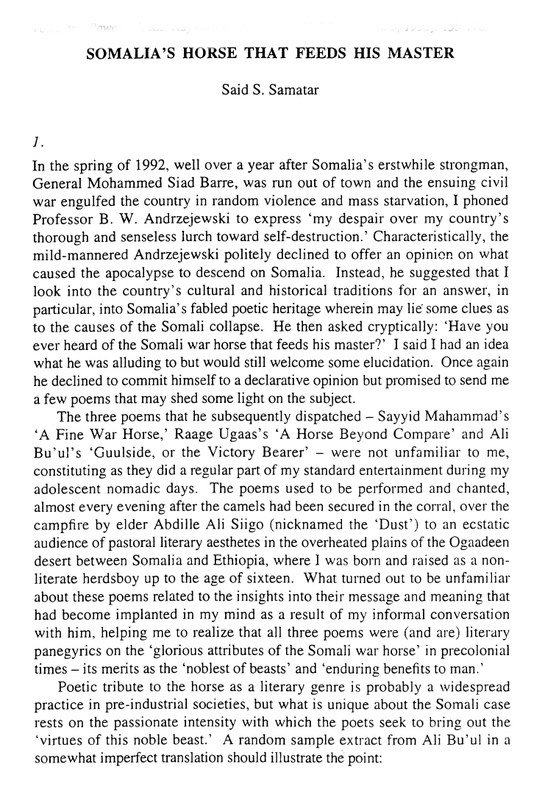 Because the first part of his life was spent as a roving pastoralist, Samatar first attended school at the age of sixteen. 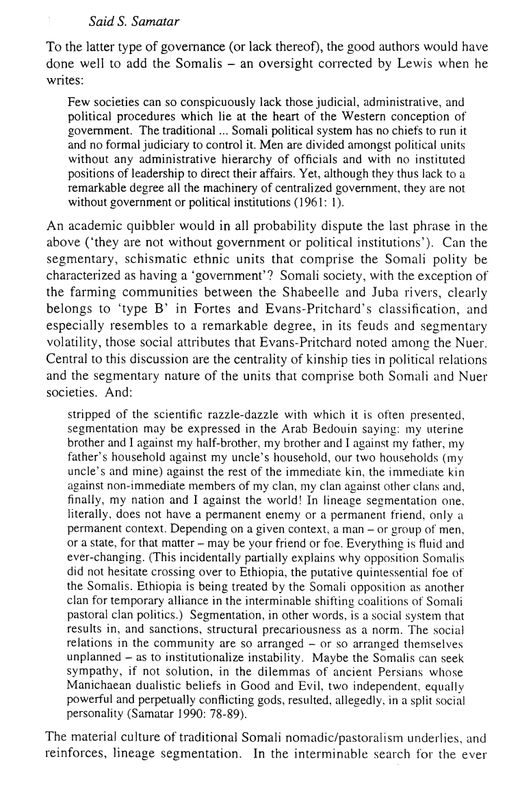 Yet his determination to obtain an education became the lodestone of his life. 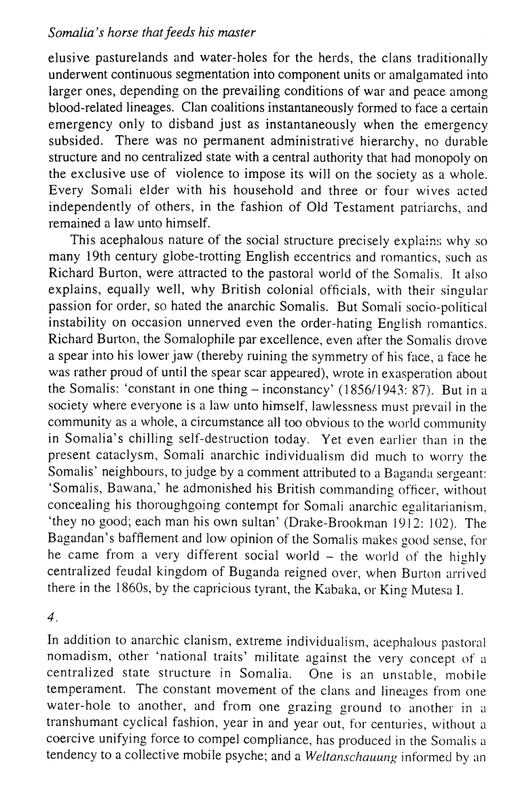 After beginning his studies in Ethiopia, Samatar obtained a scholarship in the United States, where he diligently furthered his scholastic goals. 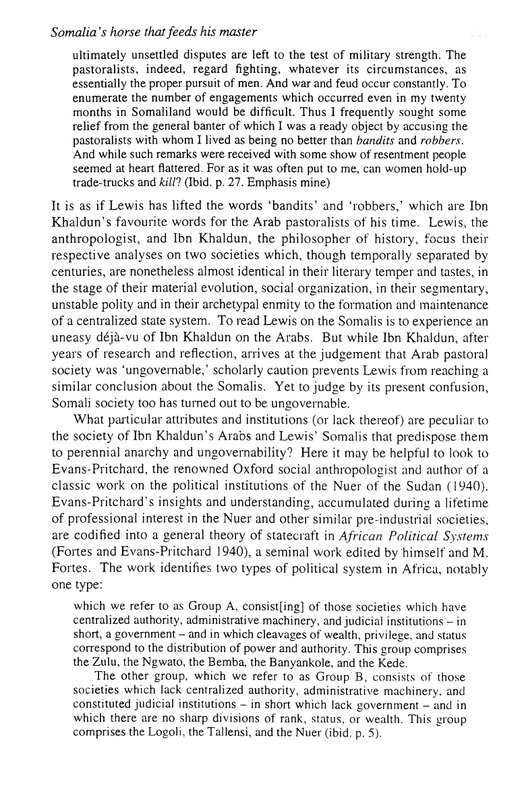 After receiving a Master's degree in Northeast African history, the dedicated savant received a graduate certificate in African studies. 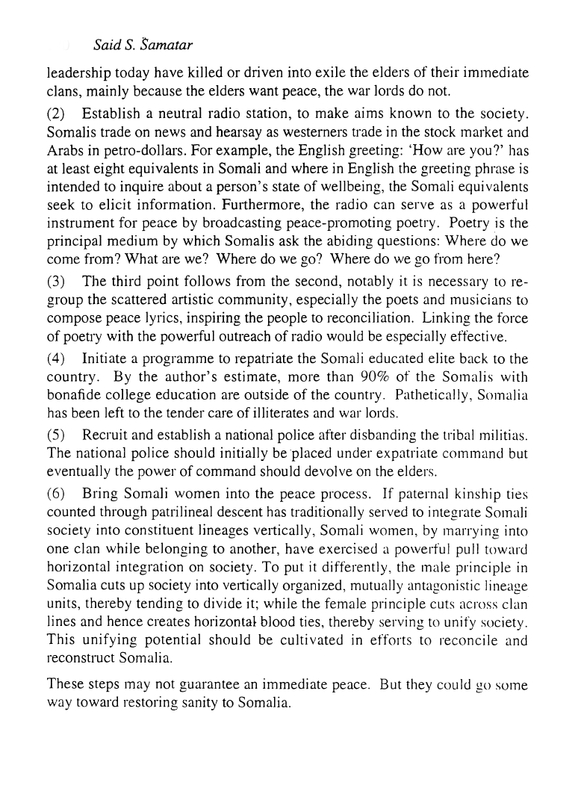 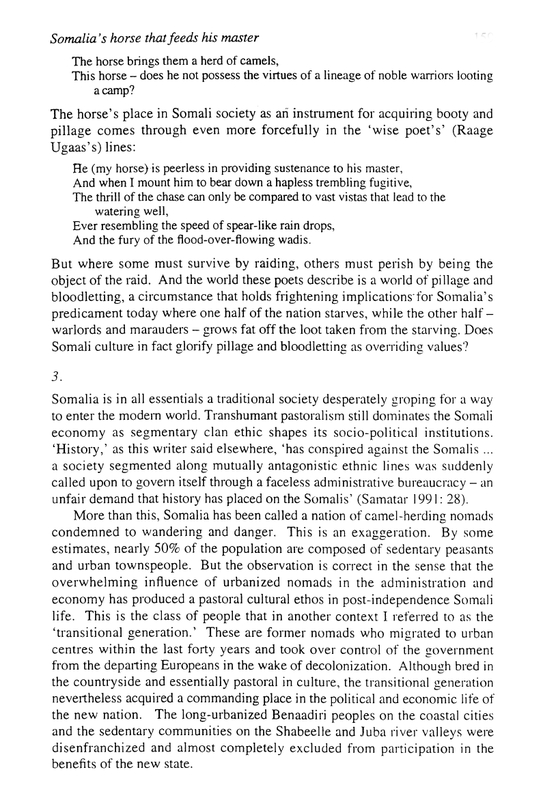 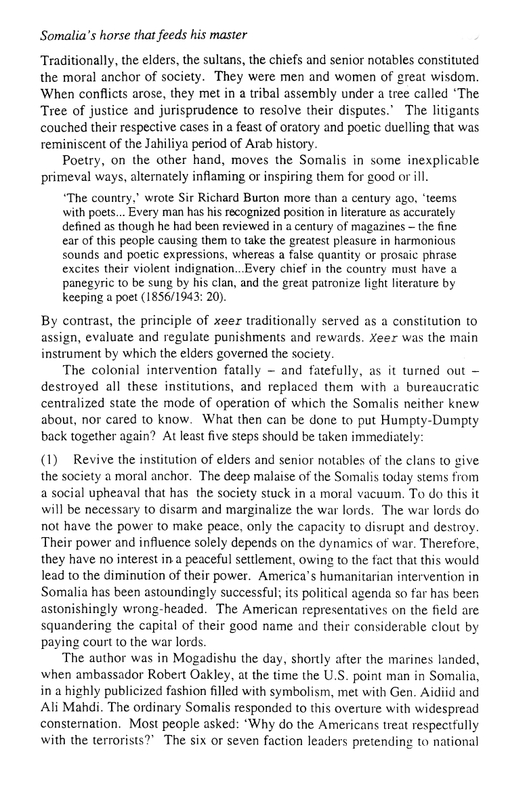 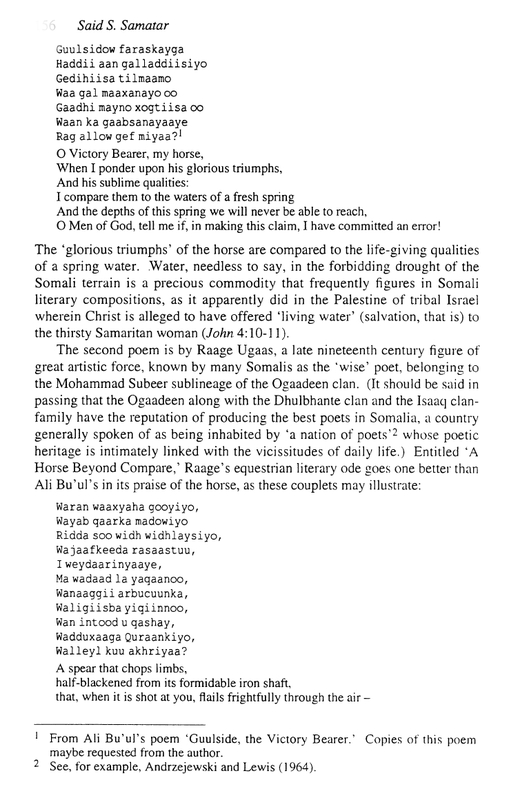 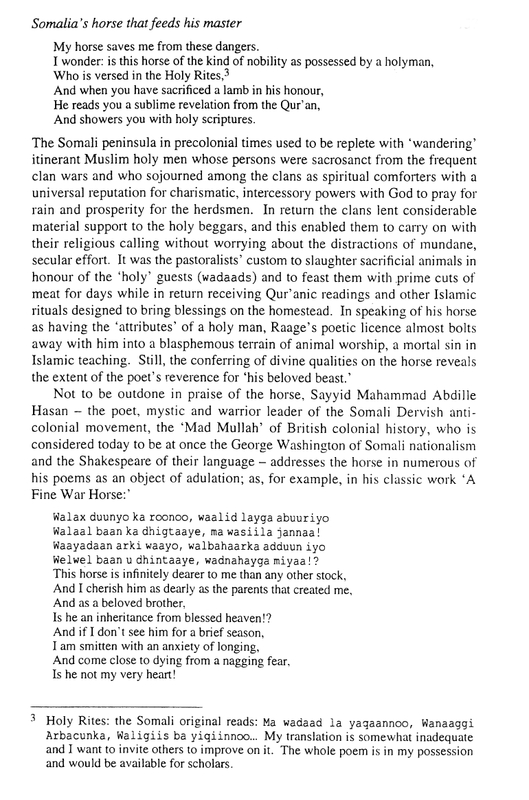 In 1996 the contrast between his life in the USA and his previous nomadic existence inspired Samatar to compose an academic study which would preserve the equestrian history, culture, poetry and practices of his Somali homeland. 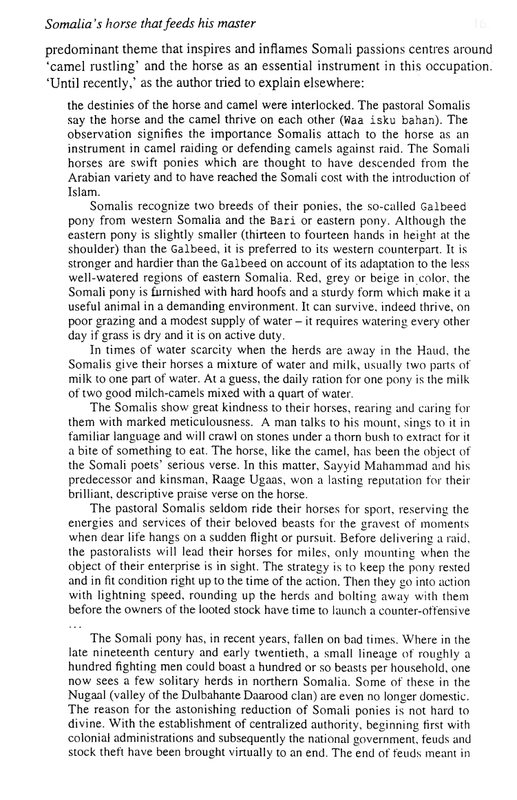 Though the art of horsemanship had existed in Somalia for centuries, the nation’s language remained unwritten until 1972. 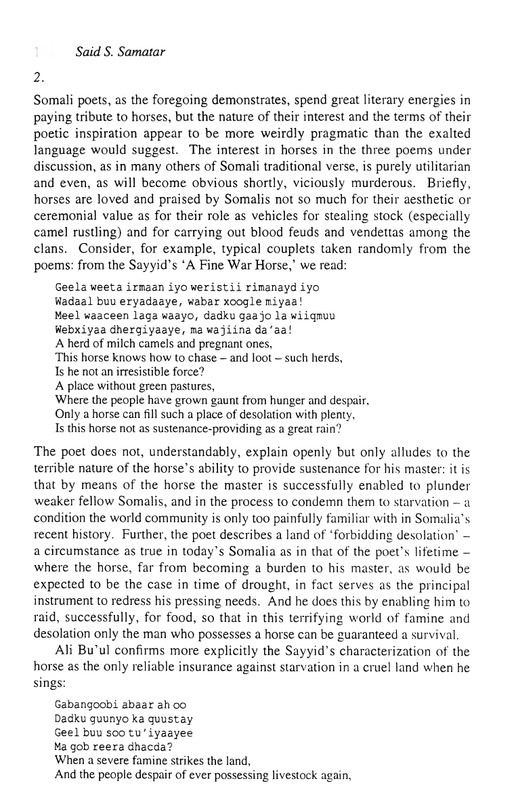 Professor Samatar preserved the endangered oral traditions and poetry of an equestrian culture on the brink of extinction. 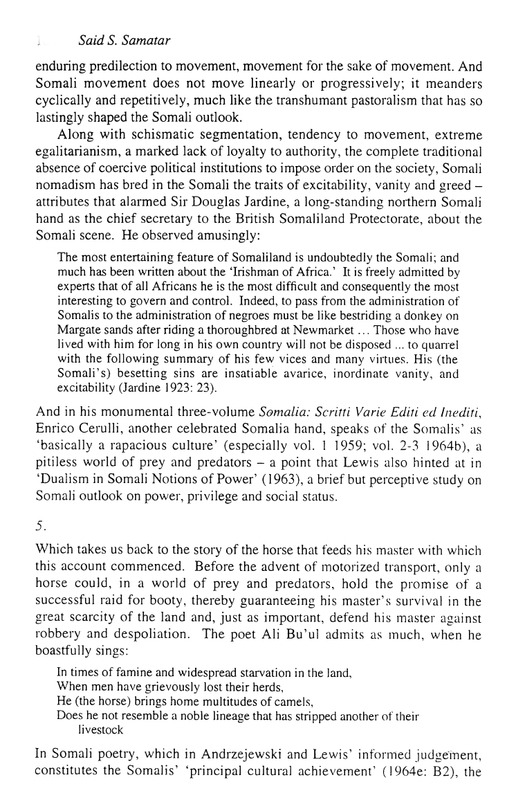 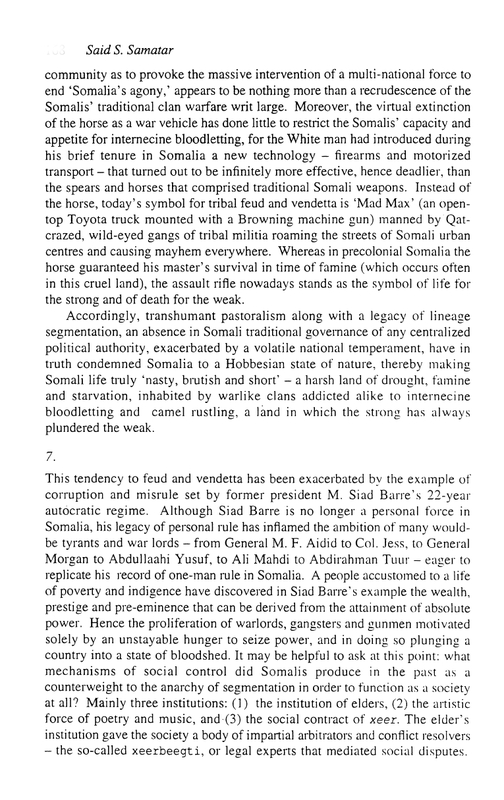 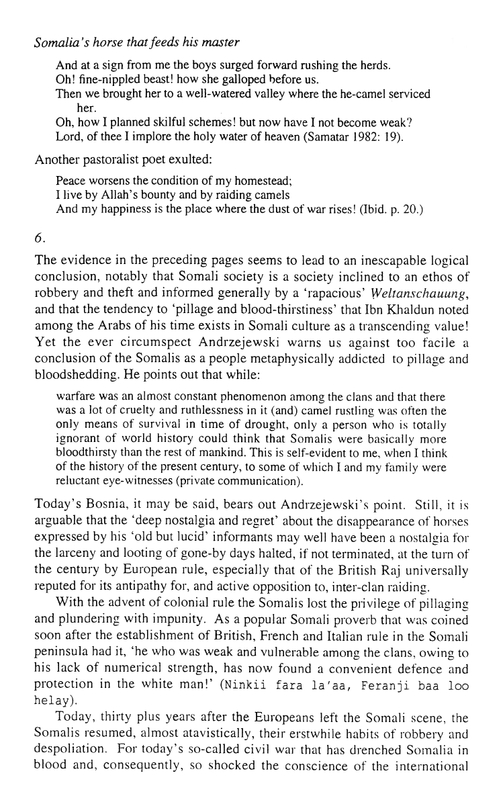 His subsequent article, “Somalia’s Horse That Feeds Its Master,” is a milestone in African equestrian history. 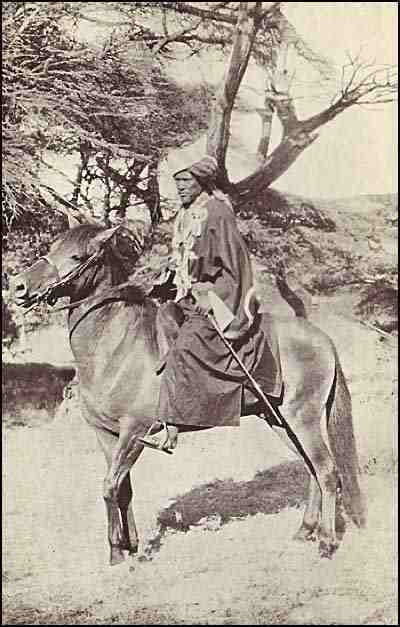 The photo above shows a mounted Somali warrior.